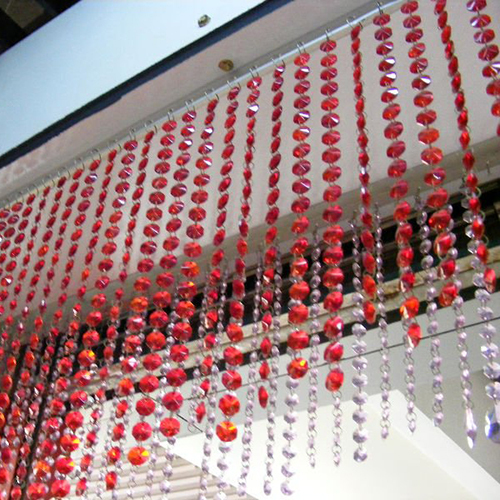 The bead curtain can be used as a door curtain, window curtain, partition or wall decoration. It provides privacy while enhancing the appearance of rooms. Hang as decoration on bedroom walls for contemporary yet classic look. 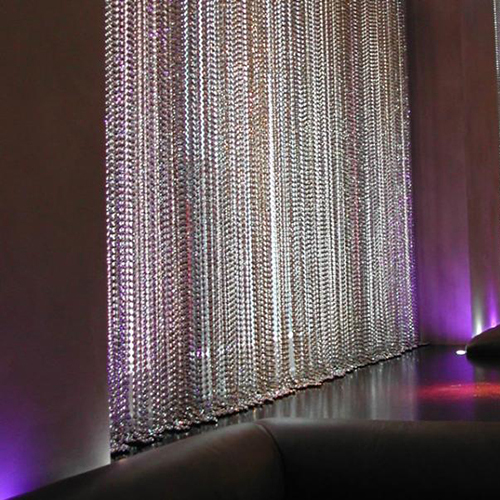 Beaded curtains were usually made of threaded glass, plastic, bamboo or acrylic beads, and were an affordable semiprivate barrier. They were popular in beach shacks and surf hangouts, where they let sea breezes waft through. 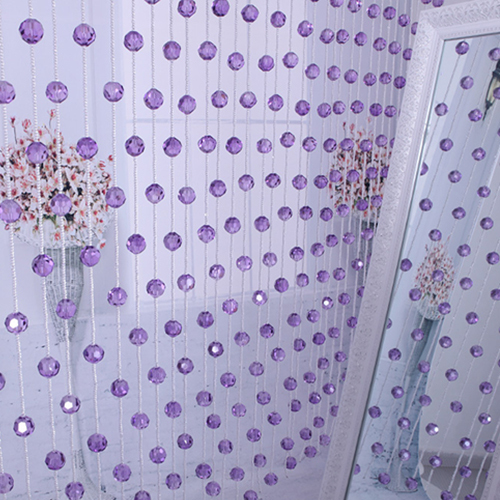 The click and rustle of a beaded curtain found favor among hippies and among devotees of feng shui. Now: The concept of a flexible, semiprivate barrier is tailor-made for modern, open-plan interiors. 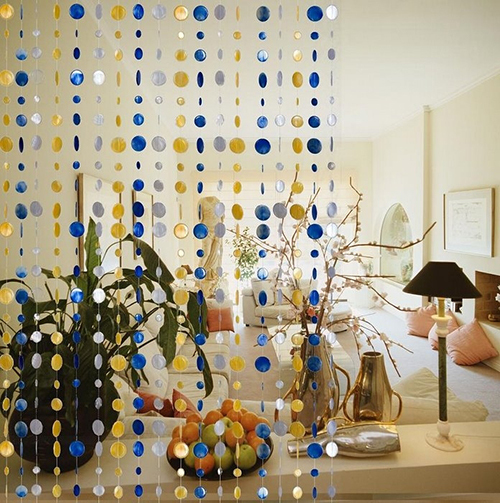 Today’s beaded curtains use ball chain construction in a variety of metals — stainless steel, brass, zinc, copper and powder-coated — to coordinate with decors. Metallic bead curtains look fantastic in loft-type conversions that favor hard, edgy industrial materials.